The principle of free speech cannot be compromised depending on the political position of the speaker. Tarek Fatah, the Pakistani-Canadian writer who calls himself an Indian, was recently heckled, abused and attacked by a group of Urdu lovers in Delhi. Tarek had gone to Jashn-e-Rekhta, a three-day festival celebrating the Urdu language. But his mere presence at this august and "cultured" gathering seems to have got the better of some people there who started abusing him, called him a Pakistani agent and forced him to vacate the place. The police, far from protecting Tarek, actually told him to leave the venue so that "law and order" is not disturbed. This is certainly not the first instance where he has faced hostility. In 2016, his scheduled talk at the Kolkata club was cancelled at the last moment fearing a similar law and order situation. What is it about this person that riles a section of Muslims so much? The answer to this question might lie in the kind of work Tarek Fatah is doing. Ever since his inauguration in the Indian media, he has taken it upon himself to expose the wrongdoings of the Ulama or the Muslim religious establishment. He has been consistent in his claim that Indian Ulama have been teaching and preaching for long a form of Islamic supremacism that does not augur well for the pluralism of this country. Through his popular show on a television network called "Fatah ka Fatwa", he has been able to show the regressive and antediluvian ideology of the Muslim clergy. Clearly then, the Muslim clergy have all the reasons to be angry with him. They have come to his shows and abused him, pronounced him a blasphemer and even threatened physical assault. I am no fan of Tarek Fatah. I differ with him on his understanding of Indian history. I do not subscribe to his historical fantasy that Aurangzeb was bad and Akbar was good. Such a simplistic black and white view of history is an exercise in dumbness. It is certainly not going to improve the pitiable situation Muslims find themselves in today. But then, I also believe that he is doing something valuable: that of showing a mirror to a section of Muslims, particularly the Muslim clergy. If I cannot stand with Tarek Fatah, I also cannot stand the mullah who thinks that Aurangzeb was a soldier of Islam and that he was absolutely right to impose the jaziya on the Hindus. For long, there has been a conspiracy of silence on what the Mullahs have taught in their seminaries and what they have proclaimed to the wider Indian society. Tarek Fatah has called their bluff and exposed their hypocrisy: some have ferociously defended that Aurangzeb is indeed their hero; others have admitted that the Islam which they teach and practise is indeed patriarchal. It is to the credit of Tarek Fatah that he has started a debate about some aspects of Islam in India. Before him, the narrative about Muslims and Islam was dominated by the conservative Ulama or there was silence around issues like veiling, arbitrary divorces, women's right to education and work, et al. Tarek has definitely opened up a space to talk about these issues. 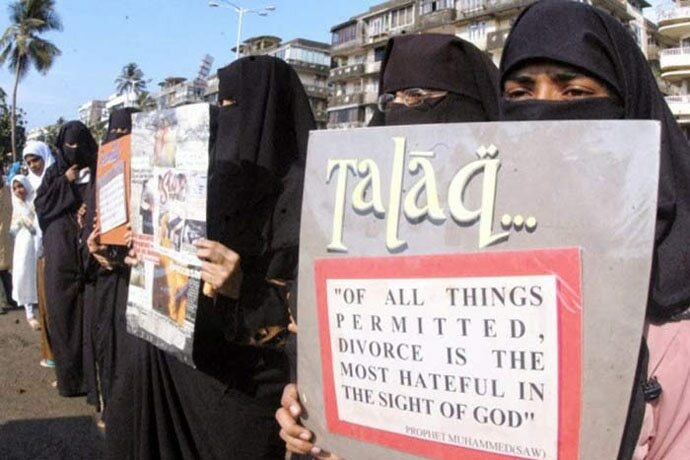 If today there is a growing chorus against the practice of triple talaq, some credit for it should go to Tarek Fatah. It is disheartening to note that the so called defenders of free speech are yet to condemn the hounding of Tarek Fatah. The liberals and the left need to realise that even if they are opposed to his politics, he has all the right to express it in a way he deems fit. It is indeed shameful that not even a hint of condemnation has been offered by the liberals. This will only go a long way to fuel the perception that free speech is just a bogey to target the Hindu Right rather than an intrinsic principle that needs to be defended at all costs. The writer is a social and political commentator.